You might not like contactless and want it switched off, but it is far from a gimmick. it’s something that paranoid people may wish to keep permanently disabled? I disagree with the idea what those who want to disable contactless entirely are paranoid, though I do question the usefulness of a network-side decline as in many of these cases, you would want to fully freeze the card anyway. In my use case, I’d like to eliminate card clash by only carrying one card that has working contactless (so disabling it at card level, not network level). Of course, for me, my Monzo card would be the primary card so I have to request non-contactless cards from other providers. It’s a pain to have to try and convince somebody that I’m not crazy and that their workarounds are not acceptable. Contactless cards also have a bad reputation of data leakage thanks to the configurations used by certain issuers and the marketing of products such as NFC blocking sleeves, cards, wallets, etc. Given the huge complexity and secrecy over how it works, I do not blame anybody for entirely opting out of a contactless card or wanting it disabled. For me the only real use case would be for tube travel and preventing ‘card clash’. I used to just tap my walled on the reader, now with two contactless cards (Mondo & Curve), I have to keep my Oyster separate. Not a huge pain, but annoying enough that I would find this useful and consider not carrying my curve on my daily commute. Also, security is still a concern for some. While it doesn’t bother me personally, there is a market for NoRFID wallets, which wouldn’t exist if some people didn’t trust the tech. and NoRFID passport covers too! Wouldn’t necessarily work, I think you’d still have a declined transaction but the actual annoying card clash aspect would still be in play albeit without the transaction on the wrong payment card. There would never be a way to disable the rfid aspect completely. I understand that people may not want to use the contactless feature, i personally use it every chance I get but thats me. I do think that if you have the toggle to enable/disable the magstripe in the settings, the same could be there for contactless. I don’t know how this would work physically as once the NFC chip is there, it will always respond. The option to disable would only block the contact attempt on Monzo’s end. But the initial communication would still be there. I could be wrong, but that is my understanding of the contactless infrastructure. I cut a notch in the top of my Nationwide debit card when I first received a contactless one (at the time they didn’t offer a non-contactless option, now they do). Back then I was worried about the security implications of contactless. Since getting my Monzo card last year, I’ve become a convert to contactless and really think it’s a great advance in payments. But if you want to disable the antenna, it is possible, and I’ve not had any problems using the card (except for the few odd looks/comments from merchants). Cards don’t have to be a rectangle. Mint had curved cards. Natwest do non-standard shape ones too for visually impaired people. So cutting a corner off your card should still work in a machine. I never thought of that, but this, my sir, is really good idea that Monzo could get to help people with visual impairments. I haven’t actually seen it isolated anywhere as separate functionality either (Alex might prove me wrong ). I would even opt out to have a ‘different’ card just to promote this functionality. The article that I posted earlier in the thread shows what happens if your Monzo card was used fraudulently by someone else. Not too worried about the security of contactless given the small size of the transactions and the easy ability to freeze the card as soon as you see one ping up on your phone, but think this feature should be available for those who want to use it. Having been a victim of fraud last year (picked up before they were able to spend any big money), the biggest issue I had, was getting Netflix to stop their continuous payment authority mechanism following my new card about, for an account I never set up! Went through 3 cards in three months before they stopped and refunded. 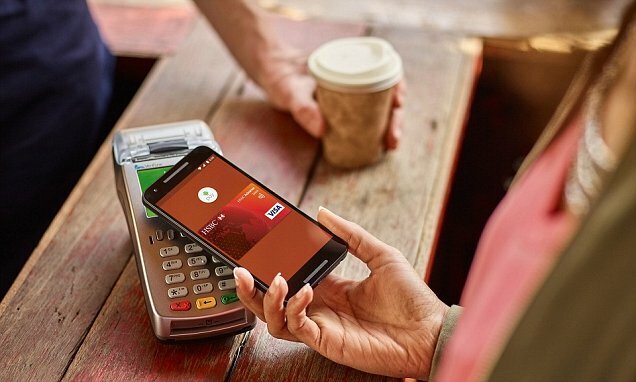 Fraud on contactless cards and mobile devices has ballooned in the last two years as more Britons choose to use it for payments, figures show. This is really a non-story. At the beginning of that period few customers had contactless cards, not all retailers took them, and the limit for contactless payments was lower. Two years later and more people have contactless cards, more retailers accept them, and the contactless limit has gone up. So of course fraud grows. As for quoting a percentage that is sensationalism. A tiny percentage on long standing tech with billions of users would be more worrying than a large percentage on new tech with only a few early adopters. Percentages are useless without the data they applied to, and best used when comparing multiple datasets of something similar rather than just one data set. I’m not following you there - the % indicates the likelihood of fraud when contactless payments are enabled (thought Monzo has additional safeguards) so we know, based on that %, that the risk is minute & therefore, the requested feature is less necessary, right? Well 4500% on a group of 2500 users say is less worrying than 4500% on a group of 25,000,000 users. So trying to compare a 4500% rate on the small number of UK contactless users (predominately new debit cards) versus a much lower percentage on a larger number of chip and pin users (debit and credit cards with both new and older issue dates that lack contactless) the lower rate on chip and pin could be more worrying as due to the larger user base there could even with a lower percentage be a higher number of fraudulent transactions. That is ignoring the fact that the non-contactless transactions may be of higher value. I think Richard is referring to the ridiculous 4500% increase in fraud - it is meaningless. If there was one incidence of fraud 2 years ago and 45 now, that would be a 4500% increase - without the active users it is just sensationalist rubbish.